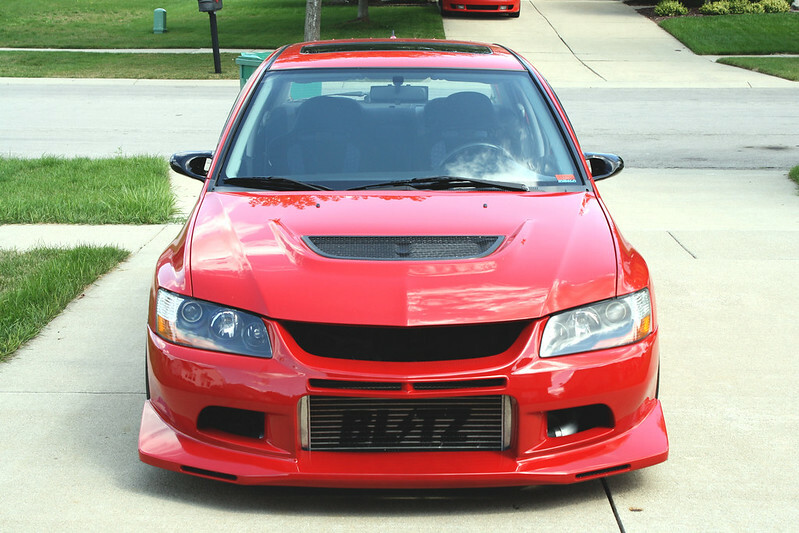 I got a call from the body shop last Thursday that my Voltex Street front bumper had been painted and was ready to be picked up. I had the day off on Friday, so I had a little bit of free time to get it on the car while my daughter was sleeping. 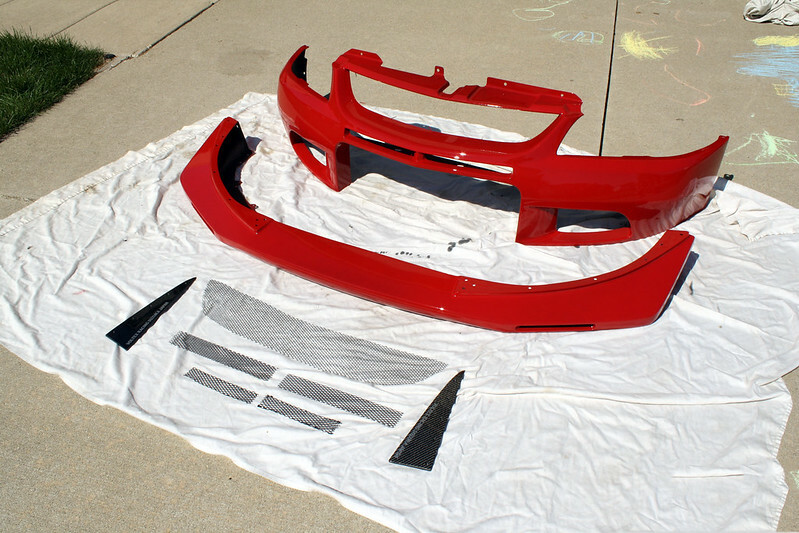 All of the components back from paint. 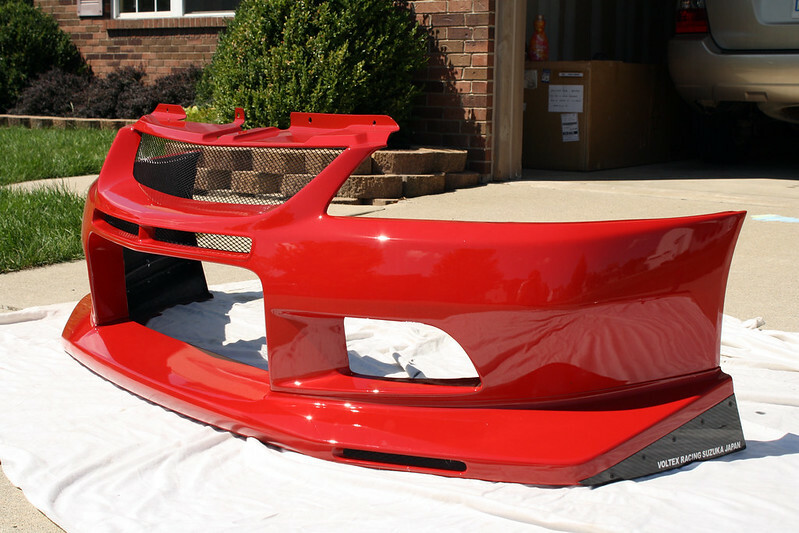 I had the body shop spray the mesh black for a cleaner look. A lot of people simply run without, but I feel it’s important to use it for a more complete appearance. If they intended you to run without, it wouldn’t be included, right? 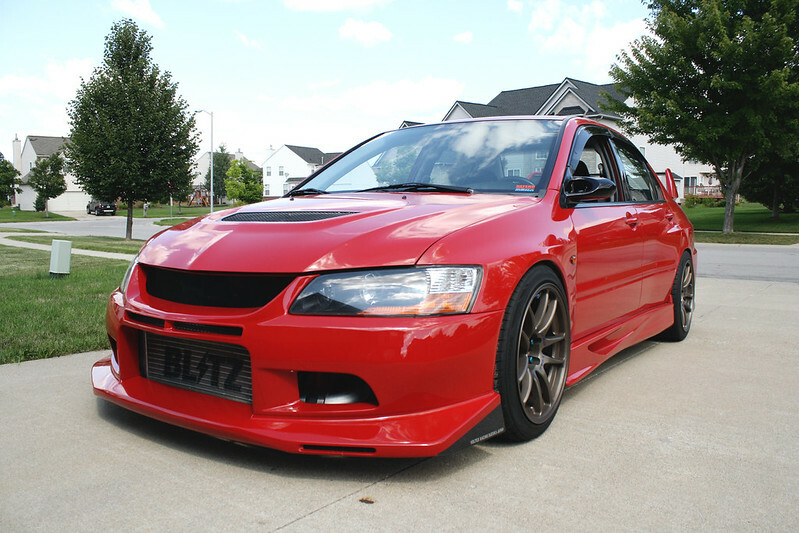 I liked the Evo IX setup with the Voltex front lip, but I LOVE the look of the car with the full street front bumper. 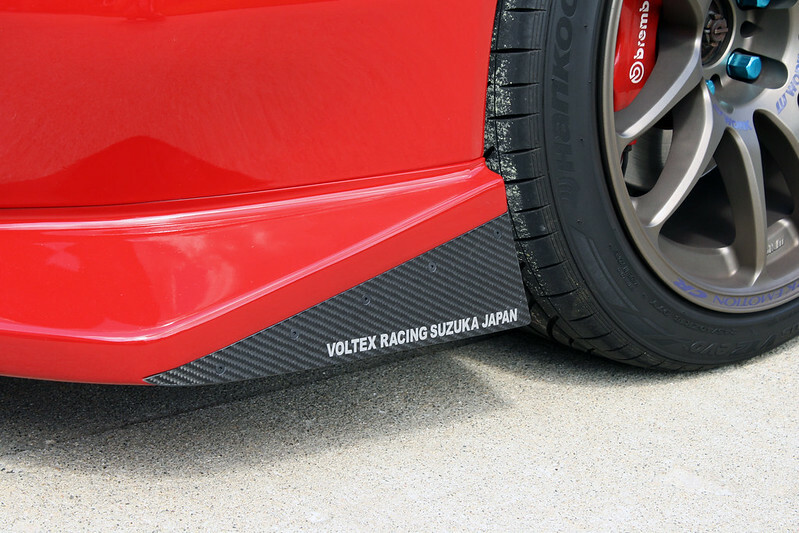 It’s just slightly more aggressive, enough to really make it feel more or less complete with the other components. I still desperately want to do the wing and possibly add the optional canards to the front bumper, but we’ll see what happens. It doesn’t look as bad as I thought it would with the stock wing for the mean time though. Hopefully I can make a couple more changes before the end of the season. I’ll keep this updated when I can! Thanks for reading. looks amazing dude, Love the look of the whole thing. 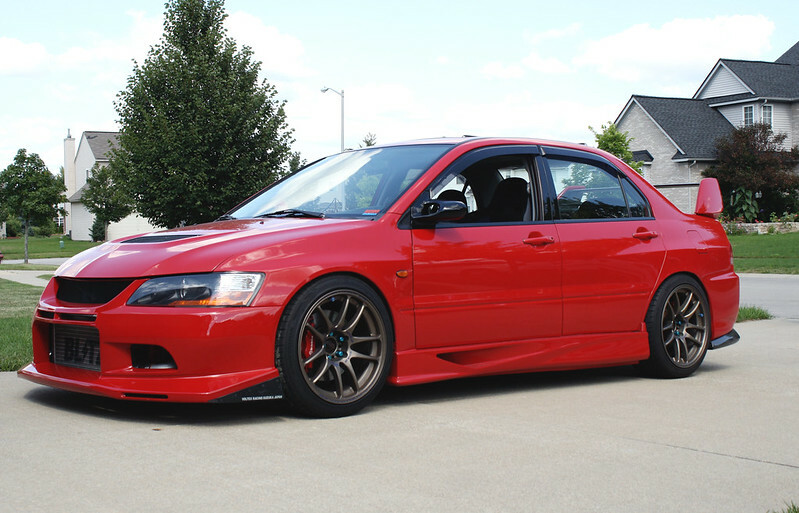 I just added you on facebook, but i gotta say, this is prolly my favorite evo, ever. 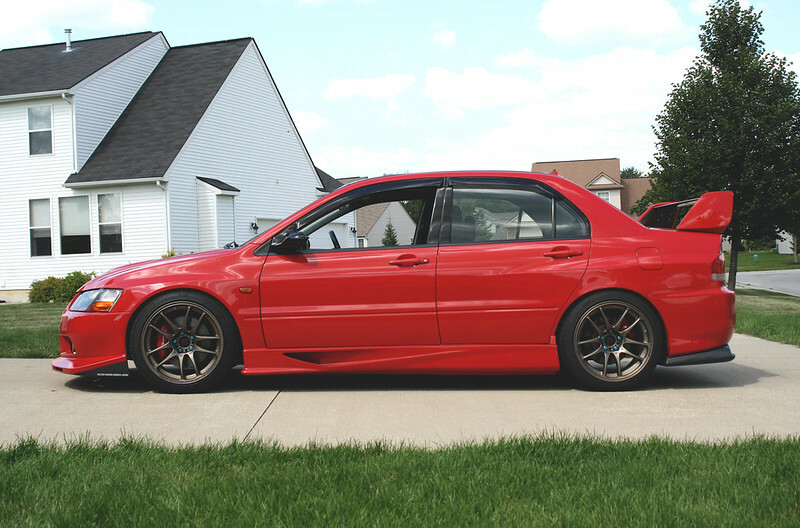 clean as hell, and you definatly know what youre doing. the cozy coupe project is amazing, as well. haha, well thanks for the kind words man! I appreciate it.